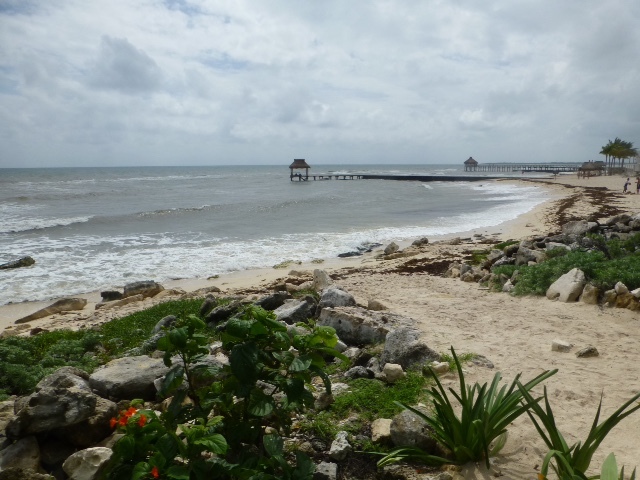 We are on an stretch of coast of the Mexican Yucatan known as the Mayan Riviera. 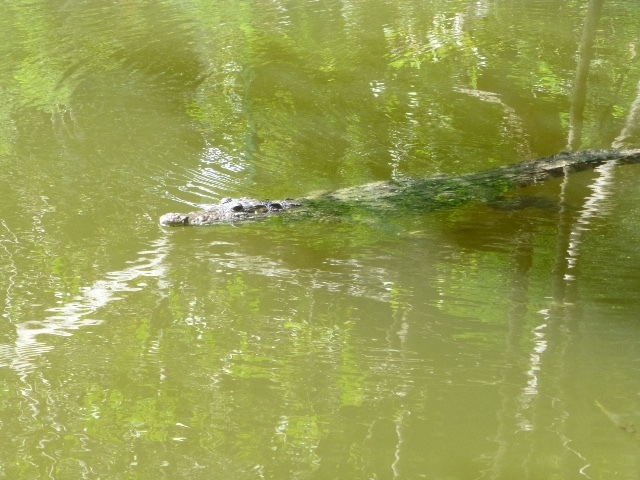 Lots of it is still lush, dense jungle. But on the coast much of it has been built up into plush and enormous resorts. We're hold up in one of them. Not our standard fare, but in this case it fit the bill. 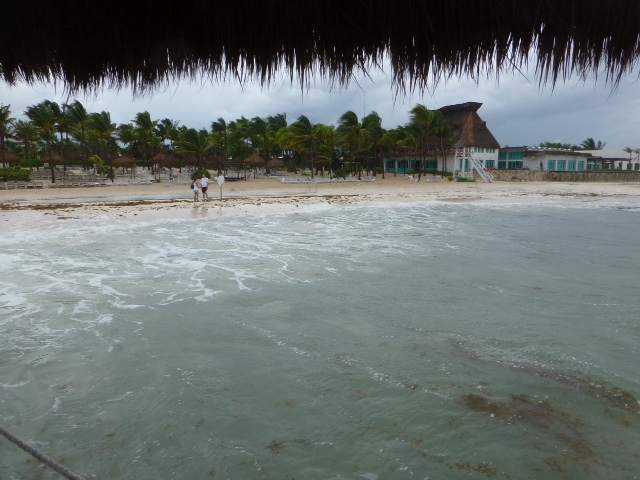 Looking towards one of the restaurants on the property from a pier. 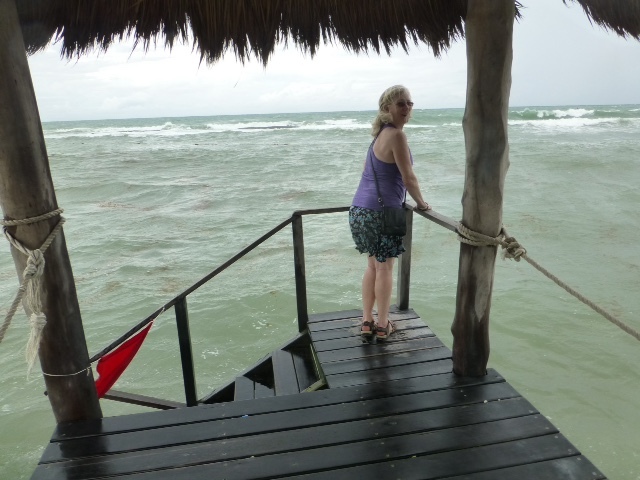 The weather in October can be rainy with rough seas. A look south, down the beach. 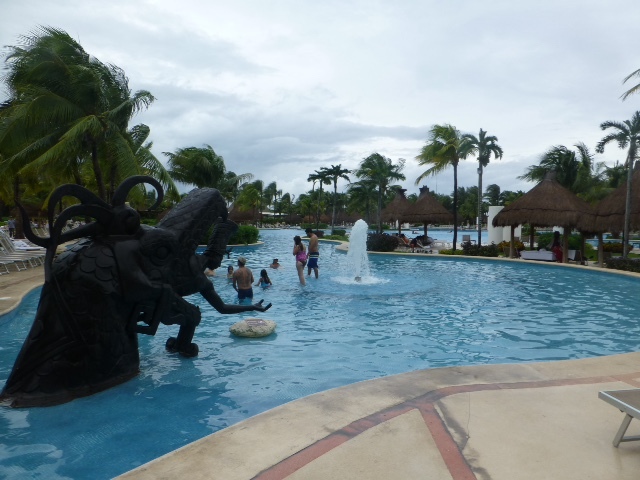 The resort has no shortage of pools. Instead of my normal 25m lap swim, here I can swim 75m laps. 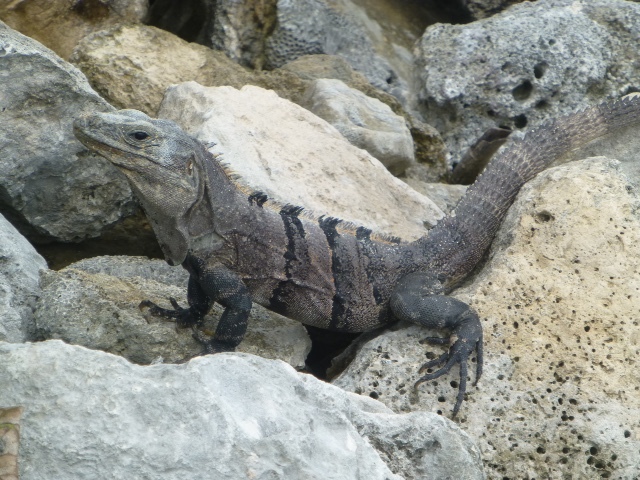 On the beach and along some of the paths, iguanas can be spotted. 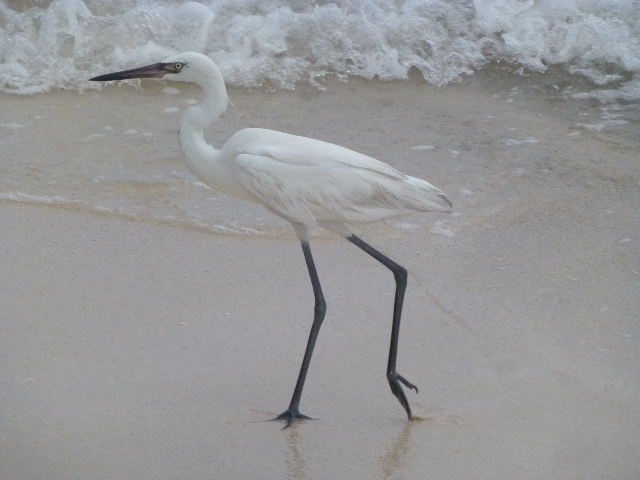 A hungry egrit scours the shoreline for a snack. 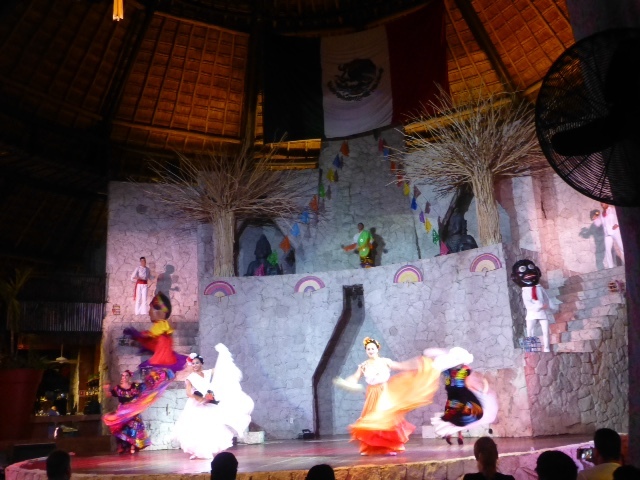 The resort offers a lot of Mexican rooted entertainment as well as a Cirque du Soleil production. 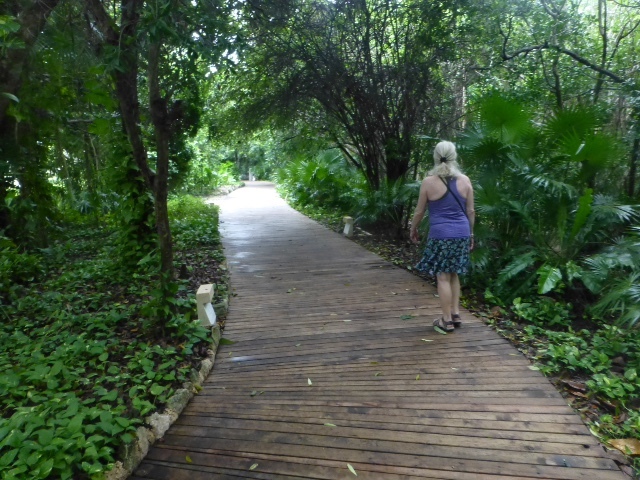 Wooden paths run all along the property. 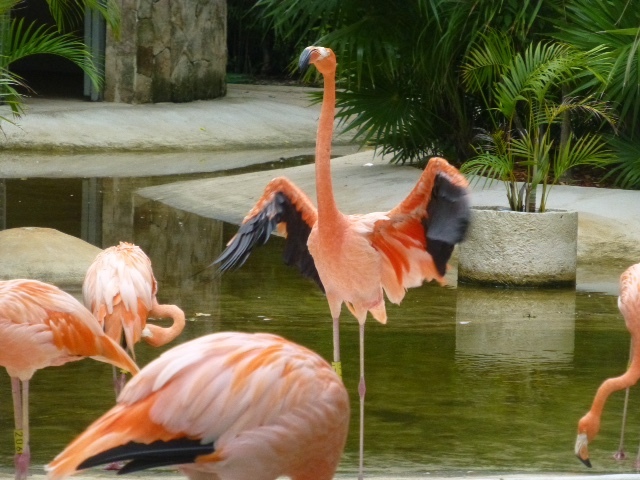 Here is our walk from the pool to our room.